Robert Kleinschmidt Watercolors on display this Sunday! 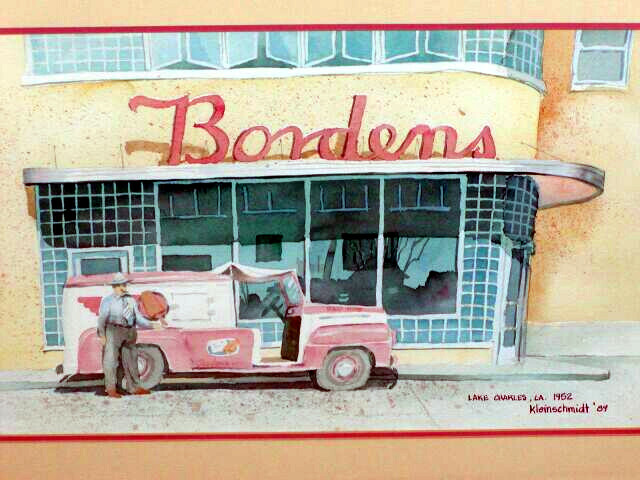 Bob Kleinschmidt was a remarkable artist who loved Lake Charles and it's history. His handsome and fresh renderings of our most important buildings around town have been popular for decades, and will remain pertinent to the telling of our city's many stories, right through the present and into our future. The Palm Sunday Tour of Homes Exhibit is very pleased to display four of Mr. Kleinschmidt's original watercolors from the Margaret Place neighborhood. The Trolley will run in a continual circle around Margaret Place and the Civic Center from 9:45 - 5:00. Because the option of J&R Carriage is available at the Civic Center, we strongly encourage parking at the Civic Center. 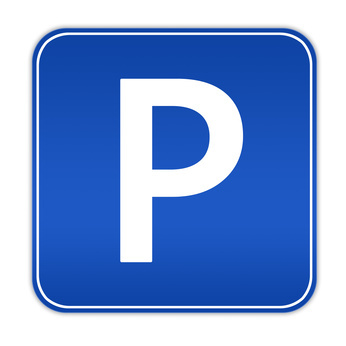 Permission has been secured from the property owners below to utilize their parking lots on Palm Sunday. While many of our procedures are different, this video is excellent, especially as it pertains to the home. Note: In Lake Charles, we do not use a registration desk. Docents report directly to their assigned house 15 minutes prior to their shift. Our shifts are two hours VS the three hours mentioned in this video. Margaret Place and Benedictine Monks? One thing the joint-committee coordinating the 37th Annual Palm Sunday Tour of Homes knows is that the Southwest Louisiana and Convention Bureau (CVB) knows what it is doing! As a result, when CVB representative Tico Soto sent an e-mail to the event chair asking "what about a lemonade stand?" an e-mail was immediately sent out to the Margaret Place community. Within hours, a Charlie Brown type lemonade stand was in the works and the cookie making and staffing began! (You gotta love the spirit of Margaret Place!) And, the commonality between Benedictine Monks and Margaret Place was born! A huge thanks to Thrive Magazine for running a two page story about Palm Sunday Weekend in their latest issue! Check out page 34 and 35! Click on "Read More", then click on "expand" for reader friendly version. Impressive! 9:30, 10:30, and 11:30 (new!) seatings...a three course brunch! Purchase tickets to the brunch and/or the home tour on-line, at the restaurant or Gordon's Drug Store. J&R Carriage to Offer Carriage Rides Palm Sunday! 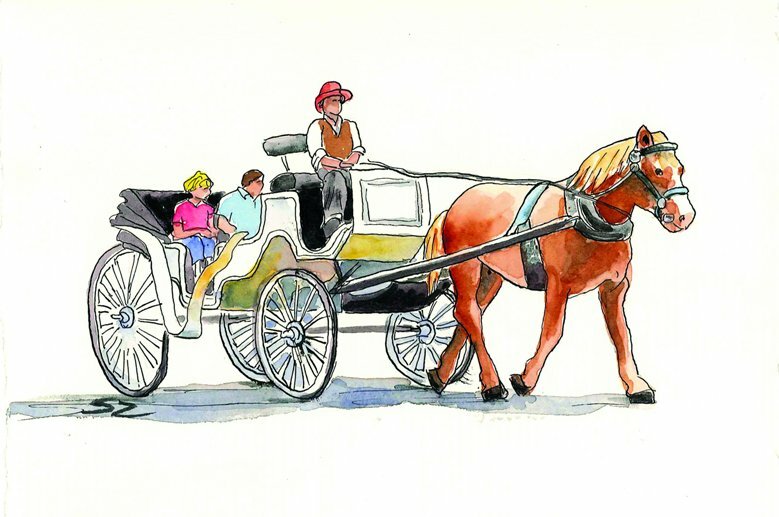 J&R Carriage will offer their popular carriage rides to/from the Civic Center and Margaret Place and within Margaret Place as part of our Palm Sunday Tour of Homes! The carriages will be located in the same general location as the Trolley stop at the Civic Center. Much of the success of this year's Palm Sunday Weekend effort is due to our sponsors. 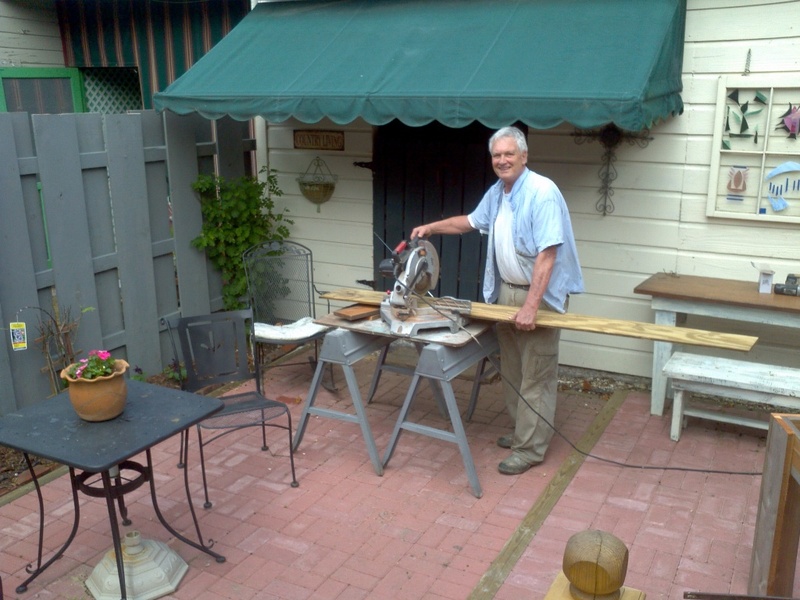 Please join CHPS and the Margaret Place Historical District in saying "Thanks!" to these Gold Sponsors. Salute to Ranier Head Docent for Palm Sunday, Karen Miller! When Sheila and Drew Ranier agreed to put their beautiful Wilson Avenue home and gardens on this year's Palm Sunday tour, one of the first conditions was that Karen Miller would have to be in charge of the docents! As a CHPS member, Karen's experience at "docenting" is significant. She approaches the organization of these important volunteers from the perspective of one who has served as a docent multiple times as well as one who has had her home on the tour twice! In fact, when her home was last on the tour, long time friend Sheila Ranier was one of her docents. 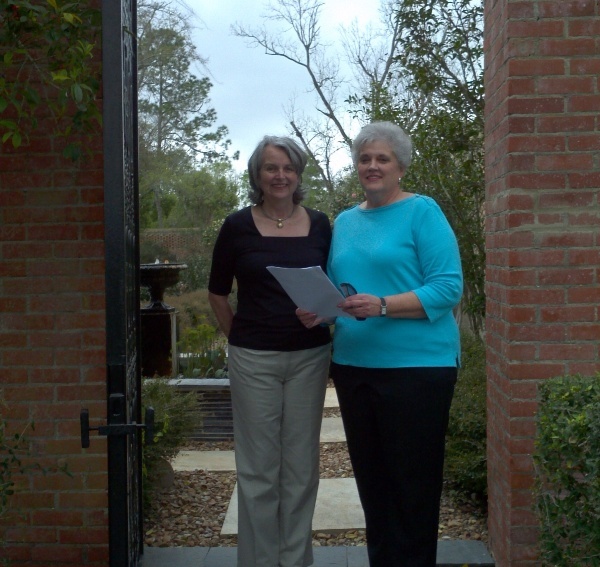 Karen and Sheila are pictured here at the gate to the gardens after reviewing details for the the Palm Sunday Tour. Those relaxed smiles are a result of dotting their "i's" and crossing their "t's". 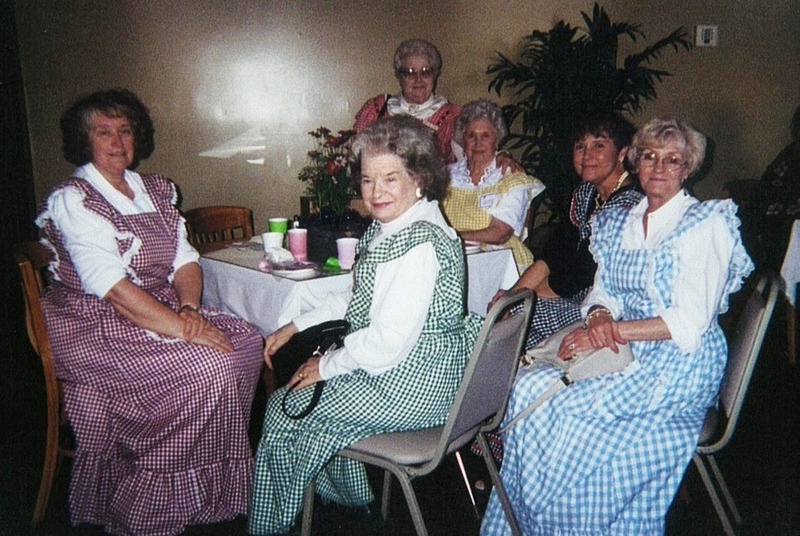 Gingham Ladies to Serve Again! The fabulous Gingham Ladies will once again provide assistance during the Palm Sunday Tour of Homes. Dressed in their trademark gingham outfits, they will assist with ticket sales at the high profile gates located at Shell Beach and Park, Dr. Micahel DeBakey and Harrison, and at ICCS.